Welcome to the Aylesbury Duck Farms web page; we are producers of high quality poultry, specialising in the breeding and rearing of the Real Aylesbury Duckling, together with a full range of other poultry including Turkeys, Geese and Chickens for the Christmas market. 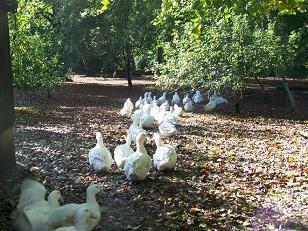 We sell direct to the general public via farm gate sales and several farmers' markets in London. We also supply local resturants and hotels in and around the vale of Aylesbury. Richard is the 6th generation of a family of Aylesbury duck breeders and poultry farmers with a history going back to circa 1775.